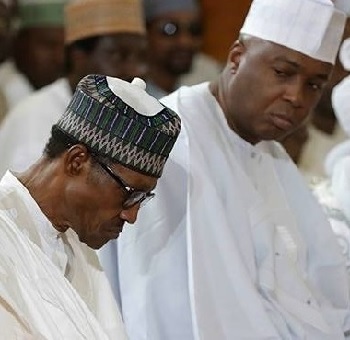 The frosty relationship between the Presidency and the National Assembly largely accounts for the delayed passage of this year’s budget, The Nation has learnt. Besides, there are indications that the National Assembly wants to see through the implementation of the 2017 budget by the end of this month before passing this year’s Appropriation Bill into law. But the Presidency is uncomfortable with the delay. It sees the alleged “foot-dragging”as a “breach of the gentleman agreement” between it and the National Assembly. The President had on November 7 presented the N8.6trillion Appropriation Bill to the National Assembly. Prior to the presentation, the Presidency had consulted widely with the leaders of the National Assembly, including the principal officers. A senator, who spoke in confidence, said: “Nothing is delaying the passage of the 2018 Budget than sheer politics and ego. Some of our colleagues are just unhappy with the administration of President Muhammadu Buhari especially alleged non-compliance with the resolutions of the National Assembly. “We are not all on the same page on the delay but those who do not want the budget passed are greater in number. They have some grudges against the Presidency and they believe that the power of appropriation is a weapon to fight back. “The worst aspect is that members of the Peoples Democratic Party (PDP) in the National Assembly have joined the fray to portray this administration as unserious and incapable. Senate spokesman Aliyu Sabi Abdullahi blamed the delay on MDAs. He said: “The MDAs are still interacting with committees, many of them are not responding. They are not responding as it should be, thus they have slowed down the pace of work on the budget proposal. A statement last night by the Director General, Budget Office of the Federation, Mr. Ben Akabueze, however, faulted claims that lack of details and non-presentation of documents had affected the consideration of the budget. Akabueze said: “The attention of the Budget Office of the Federation has been drawn to media reports suggesting that the FGN 2018 Budget was submitted to the National Assembly without details for some Ministries, Departments and Agencies (MDAs). We have also received enquiries along same lines from concerned members of the public. It has therefore become necessary to clarify the facts regarding this matter. “Mr. President submitted the budget with all the usual details required by NASS to process the Budget. We would like to emphasize, for the avoidance of doubt, that on 7th November, 2017 President Muhammadu Buhari, as constitutionally stipulated, laid before the National Assembly (NASS) the Executive budget proposals for 2018 with all the usual details required by the National Assembly to process the budget. “This included the details of the budgets of all federal MDAs based on the Government Integrated Financial Management Information System (GIFMIS) budget templates. “Complaints about additional information with respect to the budgets of Government Owned Agencies (GOEs) are being addressed. On a related issue we would also like to point out, in response to concerns that have been raised by the public, that the FGN Budget is distinct from the budget of Government Owned Enterprises (GOEs) and as such any delay in the GOEs providing additional details on their budgets should not affect the early passage of the FGN Main Budget.